Tennis players generally aren't fond of fly-overs so the French Open has found a subdued way to keep its official airline top of mind. 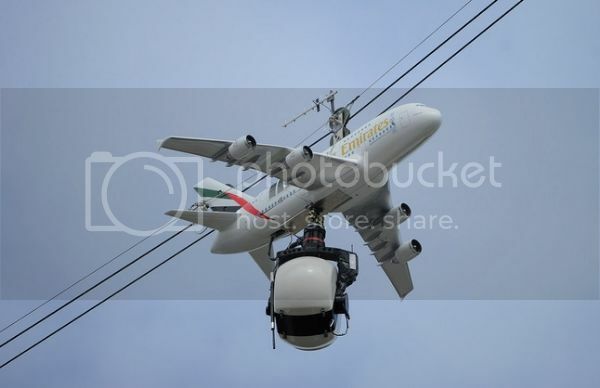 New French Open sponsor, Emirates, this past weekend unveiled this cute model A380 affixed to the tournament's aerial skycam. The clever activation supports Emirates' five year tie-up with Roland Garros announced just last month. The world's biggest airline by international traffic last week unveiled its new luxury lounge at Paris' Charles de Gaulle airport, part of a strategic plan to refurbish 35 of the airline's airport lounges over the next 18-24 months.